We have heard many lab-grown sellers talk about the ethics of their products. And we have natural diamond companies’ rejoinders to those claims. But we don’t often hear from the people who actually work in diamond mines and fields, whose living depends on diamonds. 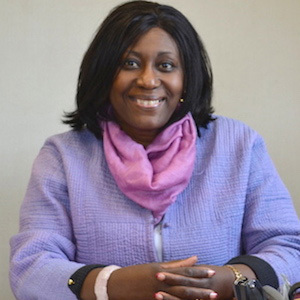 For Dorothée Gizenga (pictured), executive director of the Diamond Development Initiative (DDI), that crucial voice is missing. Her group has long advocated to improve conditions in the diamond fields. These concerns are sometimes flippantly, or even callously, dismissed by lab-grown manufacturers. But they are real, they are not abstractions, and can’t be simply rationalized away. Gizenga comes from NGO Partnership Africa Canada (now IMPACT), which was one of the original groups that publicized the blood diamonds issue. She is well aware of the dark side of diamond mining. But she also says her group has made real progress in the diamond digging areas. It has developed the Maendeleo Diamond Standards, which lay out ways to improve working conditions and mitigate environmental impact in the diamond fields. A new pilot with Gemfair helps get miners better prices for what they find. “The miners are actually eager to have better working conditions,” she says. “They are very thankful for it. As for the argument that lab-grown diamonds are more eco-friendly, she admits that diamond mining has an environmental impact. Now it’s true, some lab-grown companies do donate to charity. But even sizable donations won’t match the impact that will be created by the end of mining. Ideally, both the man-made and natural sectors would use ethics not as a marketing tool or a weapon, but as a guiding principle to improve their supply chains and their standards. Gizenga feels that anyone in the market should ask about the origins of their diamonds and the conditions under which they are created. But she also thinks the current debate is way too narrow.